Encroaching military camps, a convoluted 150-year long border dispute, and regional quarrels: the ongoing Costa Rican-Nicaraguan row over the northern country’s dredging of the San Juan River has it all. The Organization of American States (OAS) continues to mull the disagreement at the request of the Tico government, while Nicaraguan President Daniel Ortega wants to bring the issue to the International Court of Justice (ICJ) at The Hague. Costa Rica had asked Nicaragua to move a dredge that was dumping silt on Isla Calero, located in the Río San Juan delta and of uncertain ownership, as early as October 24. But tensions flared when a Costa Rican flyover of the dredge revealed troops flying a Nicaraguan flag on the Isla Calero. 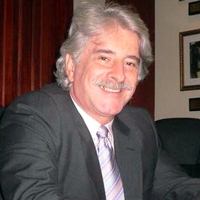 Costa Rican Security Ministry José María Tijerino called the move invasion of his country’s territory. Costa Rica, long seen as a model for environmentalism, inked a debt-for-nature deal that could put it on the global map for meeting conservation targets. The agreement paves the way for Costa Rica to expand protected marine and rainforest areas and become the first developing country to meet its environmental protection commitments spelled out under the UN Convention on Biological Diversity. At the heart of the program is an accord signed Friday by Washington and San José whereby Costa Rica will draw down its debt to the United States and invest $27 million in conservation efforts over the next 15 years. The Nature Conservancy, which donated nearly $4 million, and the Central Bank of Costa Rica also signed the deal.